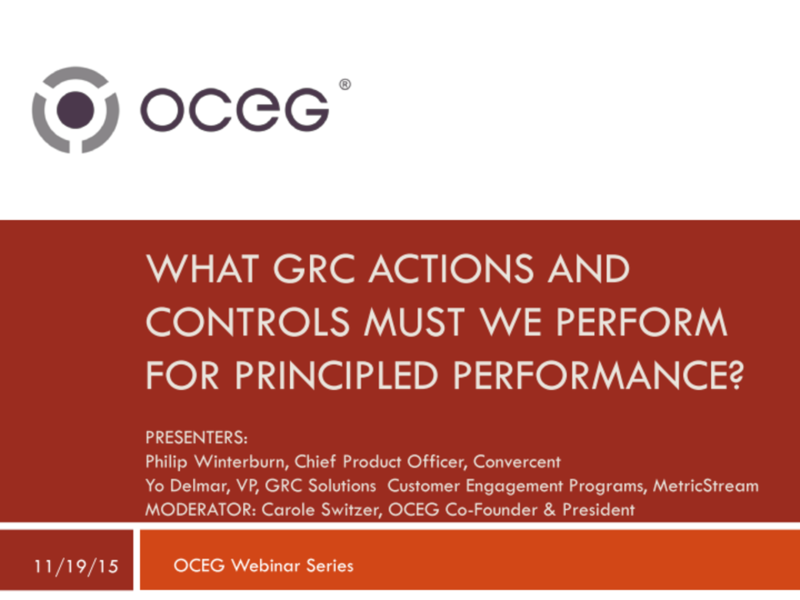 We have emailed instructions to access What Actions and Controls Must We Perform to Achieve Principled Performance? GRC Capabilities Illustrated Series Part 3 Slide Deck to . Make sure the email arrives in your inbox: either add "support@oceg.org" as a safe sender to your email platform, or if you use Gmail, drag our email into your Primary tab.